For most websites, having unique, custom content is a great SEO opportunity. It creates content to link to and from and gives your readers something interesting to read. If you want to connect with people and offer them something that is searchable, relevant to your niche and, of course, interesting to your readers, you need to offer something that is tailored with this in mind. But, even after you create this content, what then? Something sitting within your website will surely help your visibility (if its searchable and coming up under the right keywords) and will please readers. It might even get shared a little on social media – but is that all you can do? You’ve got great content, why not show it off? 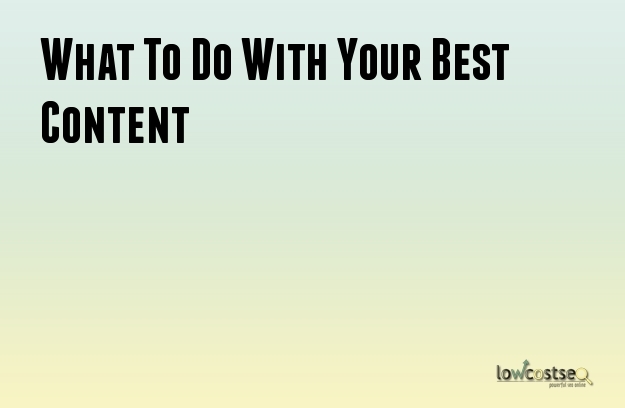 Typically, an SEO company will produce amazing content in the hopes of drawing people to the website naturally but, sometimes, you have to be a little more proactive. Find communities and platforms that could use your content – this works the best with infographics and other visual media. Show them what you’ve got: if its something they don’t have, but want, they will be willing to share and use it, bringing you visibility (and maybe a good link or two) in the process. If your content has unique research or data, don’t stop at just creating one item when you can repurpose it into presentations, videos and more. For example, let’s say you have a big survey, whitepaper or other such research on an interesting topic. This makes for a great blog post, but that isn’t going to suit everyone’s preferences. So, turn it into an infographic and share it around, create a video for your youtube page and share some of the most interesting facts on social media (all linking back to your original source of course). Just like that, you’ve created new content and a means of outreach! Likewise, why not use it in part of your outreach campaigns? Use it as sponsored posts or as part of larger outreach content – this gives you unique information that’s valuable to other platforms. Similarly, there are platforms such as HARO (Help A Reporter Out), where people ask for help on certain topics. Since you already have some great content and data on a given topic, why not see if anyone could use some help? This way, you can get your name and information into publications as an expert source! If you do this, you will likely have content across various platforms, channels and media formats. This is the perfect chance to measure comparative data and see which methods work the best. Are some websites bringing in more traffic than others, did a certain format get shared more frequently and which methods ultimately drew in the most attention? Ultimately, any positive outcome is good but, if you need to focus on somewhere in the future, this will show you how to get the most results. Did people respond well to videos? Make these a priority in the future and push to make the next one even better!